UniFi is the revolutionary Wi-Fi system that combines enterprise performance, unlimited scalability, and a central management controller. 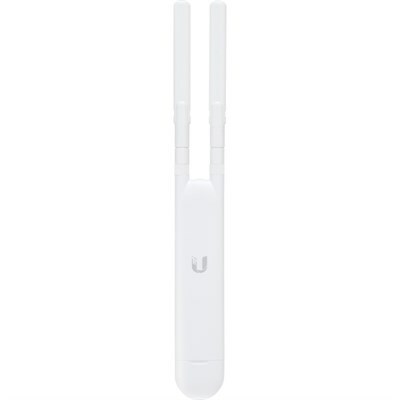 The UniFi AC Mesh Acess Points have a refined industrial design and can be easily installed using the included mounting hardware. Easily accessible through any standard web browser and the UniFi mobile app (iOS or Android), the UniFi Controller software is a powerful software engine ideal for high density client deployments requiring low latency and high uptime performance. Use the UniFi Controller software to quickly configure and administer an enterprise Wi-Fi network - no special training required. RF map and performance features, real-time status, automatic UAP device detection, and advanced security options are all seamlessly integrated. With the UniFi Controller software running in a Networks Operation Center (NOC) or in the cloud, administrators can manage multiple sites, multiple distributed deployments and multi-tenancy for managed service providers. UniFi creates a highly scalable, end-to-end system of devices spanning multiple locations across the world - all controlled by a single interface accessed via the Internet or local network.